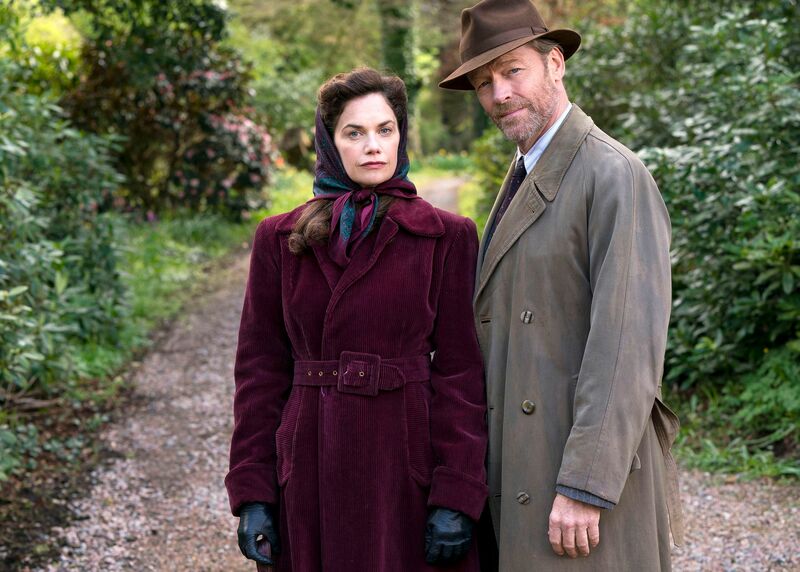 The two-part, true-life mini-series Mrs. Wilson (airing on Masterpiece on PBS) tells the story of Alison McKelvie (Ruth Wilson) who fell in love with Major Alexander Wilson (Iain Glen) after meeting him while working a secretarial job with the Secret Intelligence Service. During the years of their marriage, Alison believed that her husband was a popular author of spy novels who was also doing real intelligence work for the war effort, only to find out that he actually had other wives and other families, making her wonder whether she ever really knew him, at all. 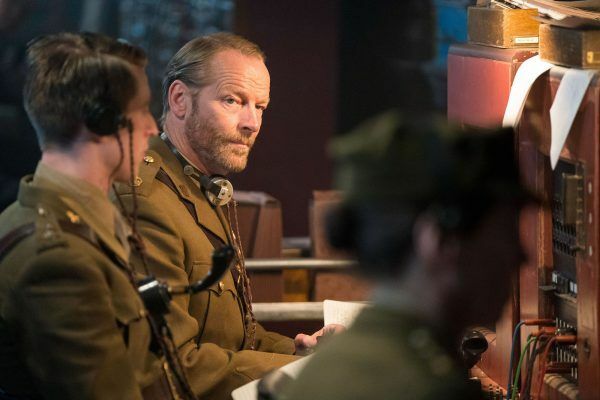 During this 1-on-1 interview with Collider, actor Iain Glen talked about being a part of telling this incredible true-life story, the surreal nature of being a part of this project, how he approached understanding who Alec Wilson was, the research he did for the role, and the appreciation he had for the man by the end of the shoot. 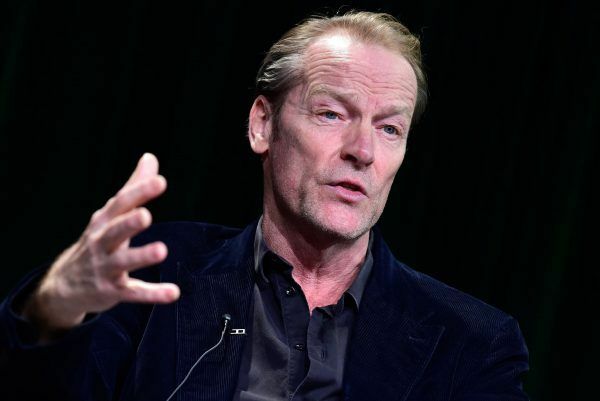 He also talked about being a part of the hugely popular HBO series Game of Thrones, in which he’s played Jorah Mormont throughout its run, what it’s like for an actor to go on a journey like that, why these last episodes justifies their longer lengths, and how emotional it was to have a big cast read-through for the entire final season. Collider: I had heard a bit about this story prior to seeing this project, but it’s so fascinating and compelling to learn about the details of it all. IAIN GLEN: I’m very grateful for how well the whole thing has turned out. I feel for Ruth, and I’m so pleased for her. It was an extraordinary journey that she went on with this. She knew she had this incredibly complicated history in her family, with this one figure, in particular, which had been a part of her childhood. And then, she became an actor and the pressure gently built to manifest the story for a drama. And then, she had to put the right people together, find a fantastic writer, and find the right production to realize it. So, for it to have been come out and have done as well as it has, it’s an amazing journey to go on. It’s very easy to look at this and say, “This is extraordinary, what happened.” It’s a very different thing to find the right writer to actually structure it and make the story follow revelation after revelation, to come out satisfyingly, and for us to retain sympathy, throughout. I think that it’s a very compelling story, psychologically, and that’s what I’m most pleased about. It’s based in the truth, so it’s very, very riveting, which is what you look and hope for in drama. Did you know, from the beginning, that this was a true story and that it was her family’s story? GLEN: I did, yeah. They asked me to do it, and then Ruth and I met in Belfast. All I had done was read three scripts, which had been sent to me, while she’d lived with this project, for years and years and years. But we actually had a very similar take on it, and that was quite reassuring for both of us, in a funny way. Did you ever have a moment where it just seemed bizarre and surreal that you were playing your co-star’s actual grandfather while she was playing her own grandmother? GLEN: I had a little moment, yes, I did. It doesn’t seem like a significant moment, but Ruth’s mum and dad came, and they played little extra roles within the drama in one scene. I was in the make-up caravan, getting into being Alec Wilson, and Ruth was beside me, getting into being Alison Wilson, and then her mum and dad came in and went, “Hello, how are you?” She sat in there and asked me how it was all going and said, “I’m very pleased that you’re playing the role.” It was just a bizarre, strange mix of reality and drama going on, where sometimes you can feel incredibly silly dressing up in funny clothes and pretending to be people. All I can say is that Ruth and her family always made it feel that they were really happy with what I was up to, and to just to keep doing what I was doing. You were playing a real guy, but you couldn’t talk to him because he’s not with us anymore, and it seems that nobody really fully knew who he was or why he did what he did. How did you approach finding him? GLEN: What you’re actually asking is, what was the motivator? What was it that made you do the things that you did? We know what he did. We know that he got involved with different women, and that he married them and had children with them. We also know that he was of the Secret Service, and that he was a very successful novelist. So, I had all of the facts, and then I had scenes that showed those things. 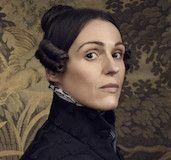 You have to be a little bit careful, as an actor, to not want to rationalize it so much that you have a total clarity of the subtext that’s going on. All you can do is play each scene for what it is. You just play each moment for what it is, and you let it add up to what it adds up to. In his lifetime, all of his various wives had no idea, whatsoever, that he had these other scenarios going on. So, in any given moment, during the course of their realities, there were no signals saying, “Something weird is going on here,” or that he had another life that he was not telling anyone about. Otherwise, it makes them all quite stupid people. He was very able to be in the present and inhabit the moment that he was inhabiting. That’s what he had to do. His life was endangered, if his cover was blown, so that made him a very successful operative. Without shirking it, I didn’t try to rationalize. I didn’t try to find the answers because, if Ruth’s family, who had studied him and tried to understand, hadn’t quite worked out, it felt silly of me to try. It’s so interesting because he obviously loved each of these families, and they all really loved him. If he was some kind of a monster, they wouldn’t have had the feelings that they had for him. GLEN: That’s right. And the wives wouldn’t have fallen in love with him, wanted to marry him, and wanted to have children with him. It’s a funny mix. When I think about it, my head just explodes. I think, “Jesus Christ, that would be too complicated!” It’s hard enough with one wife and the three children that I have. But people are wired differently. The context of the war years and how that affected people is really important. People did different things, when life was not so taken for granted and you lived in a very endangered situation, all the time, especially when you were living in a city that was getting bombed, on a nightly basis. Perhaps you have a desire to live life or generate life in those moments, I don’t know. There was no doubt that, to some degree, he was a fantasist, but it all got a bit gray around the edges. It’s definitely wrong. You shouldn’t marry somebody when you’re already married. There’s no doubt that’s wrong, and that’s not a good thing. That should probably not happen. And you definitely shouldn’t do it a third and fourth time. But all I had to do was make him somebody where you could understand why they fell in love with him. He was charismatic and exotic, and he was a man in uniform who wrote novels and was successful. I just tried to play that person, rather than having a judgment eye about him. GLEN: I did, yeah. That was probably my only real significant research. I had the diary and the memoirs that had been written by Alison, and he wrote about 20 books, but I didn’t read them all. His famous ones were these Wallace mysteries, so I read those. In a way, the main character of the Wallace mysteries was a projection of himself, so that was quite revealing. He was the person that he would like to have been perceived as being, particularly from those that employed him, and then turned on him. It’s lovely when you can read the words written from the mind of the person that you’re playing. It just puts you as close as you’re gonna get. 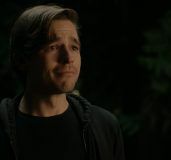 By the time that you got to the last day of playing this character, do you feel like you had a different appreciation for who he was? GLEN: Yeah. I always really liked him, and I didn’t judge him. I think he gave a great deal. I know it’s fucked up. I don’t underestimate the wrong that he did. I really don’t. But he did give a great deal for his country, sacrificed his life, and tore himself apart to fight the cause for his country, and he tore himself domestically apart, as well. For whatever reason, he was treated poorly, in the end, and that gave me great sympathy for the man. If anything, I felt more sympathetic towards him, at the end of playing him, than when I started. You were working on Game of Thrones when this came up. 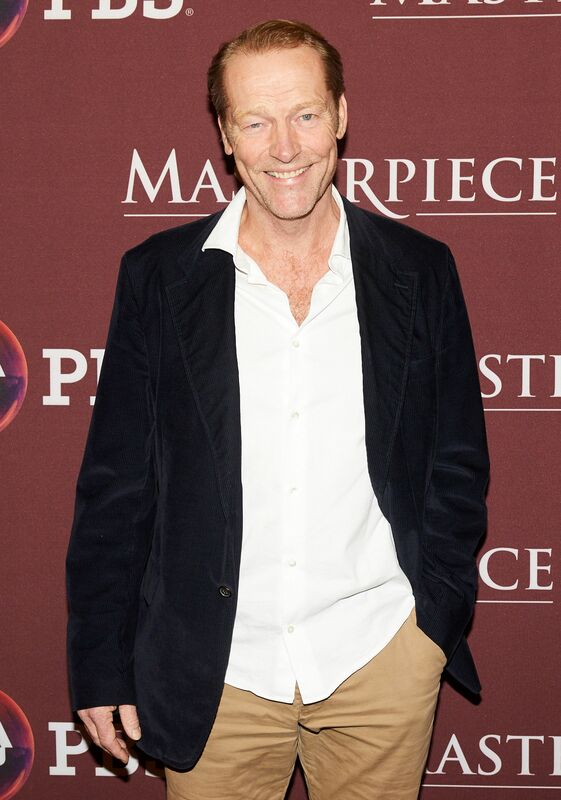 What’s it been like for you, as an actor, to be a part of a show that is one of the biggest, most popular, most epic shows, ever, and you’re one of the last men standing, of the original cast? GLEN: It’s been fantastic. I know. I did a head count, and there’s only between 12 or 15, who were in the pilot and every single season. There are not too many of us, which is good, and even less who were a part of every season, through this season. Some people have disappeared, and then reemerged. It’s been great. It’s been a really joyous journey. It’s now perceived as a massive, global hit, but I remember the days when we thought, “What the hell are we doing? !” We were half-way through the first season thinking, “Are we just making a pile of poo?” We had no idea, really. You need an objective response. And then, over the seasons, the belief and faith in it grew, and our faith in ourselves grew. It was probably half-way through Season 3 or 4 that we thought, “We’re actually onto something here.” It’s been an amazing journey to go on. And Dan [Weiss] and David [Benioff] are very, very lovely, cool showrunners, who made us all feel very valued and special. It’s just amazing that it’s turned out as successful as it has, and that it’s transformed how people perceive us. I could whine about, “Why don’t people remember me when I did this at the Royal Shakespeare Company?,” but it’s okay. I don’t have a problem with that. 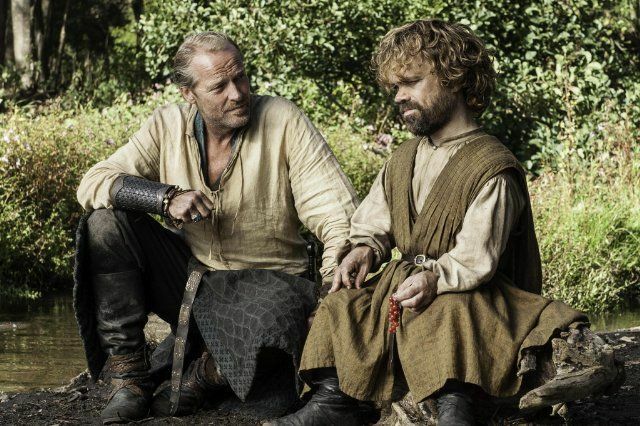 I’m always really delightfully surprised when someone mentions a theater piece that they’ve seen me do because probably .001% of the people who watch Thrones went to see any theater show that I ever did. I always feel lucky, and it’s been nothing but a good thing. 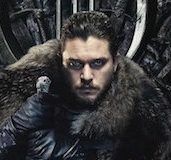 Do you feel like this final season justifies the longer episode lengths? GLEN: I absolutely do. Could you have created two more episodes and have had them all the same length? Sure. But there are monumental waves to the different movements that happen during this last season, and it makes sense to me that they’re feature-length. The way people receive it has changed, as well. When you start something, you want to grab people’s attention and keep them, but then you get to a point where you’ve got people’s attention. You can allow yourself longer movement within the course of an episode, to get from your beginning to your end, in each wave of the changing drama. The whole production has real faith in itself, so it feels right to me. Were you given scripts for the whole season, or were you just given your pieces? GLEN: No, we always got the scripts. That was true, from the word go. The only thing that was usual about it, this time, was that we all gathered together to read the entire season, before we began. That was very emotional and amazing. We were all around this massive table, with all of the various directors for the season. It was a very special time. If they’re to be believed, some people said that they were reading it for the first time, and didn’t know where the story was going. Kit Harrington always said that, and I think I believe him. I don’t know. We’d only had a few days to look at it, but it was Dan and David’s way of saying, “Here we go, we’re all in this together. This is the story that we’re telling.” It’s such a big production, and we all go off in various directions, so it was nice to gather everyone in one place, to begin with. We’ve kept people waiting, and I thank people for their patience, but I hope it’ll make sense, when people see it, that it took a bit of time to get it right.